I saw someone have a seizure today. I was at the other end of the aisle at Costco, and I saw this guy, looked about 60 or so, start to jerk violently. He hung on to his cart, and then finally let go and fell over backwards. He stopped jerking shortly after he fell. I started to head over, but others who were closer, including Costco employees, were there quickly, calling emergency, being with him. I kept my distance, having nothing constructive to offer and not wanting to be in the way of those who were doing all that could be done before emergency vehicles arrived. No one, as far as I could see, was taking pictures or video, thankfully. But I have the image in my mind. It was terrifying, watching him go through this. I have no idea whether this was the first time for him, or the hundredth. I have no idea whether he will be ok or not. The mirror neurons kick in, for anyone who hasn’t had human reactions trained out of them (at some level, to respond as a medical professional means to put those reactions to the side in order to do what needs to be done). For others, I suppose, empathy is also trained out, but that’s not what I saw there today. Even if I don’t have the literal feelings he’s having, there’s an existential sense of being at the edge of life and death that is felt, if you let yourself. Did he say to himself, this must be what dying feels like? Or was it, oh no, not this again – just get me to the hospital and I’ll be fine? He wasn’t saying much – the jerking was extreme. He was just trying to hold on to the cart, as long as he could. 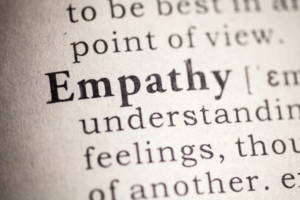 Some recently in philosophy have argued against empathy. It seems like a strange position, but if you think about it, it makes sense. I empathized here. I could make this person into an everyman, into me. He was roughly my age, he was white. He dressed more or less like me, like everyone else who looked like me. Empathy is easy for those you imagine are in your own tribe. Maybe he wasn’t, for all I know, but I imagined he was. Empathy, for people like me, seems to become much more difficult when we’re asked to empathize with people not like me. Would I be telling stories to myself about how probably he had that seizure because of some bad lifestyle choice, if he was black, or visibly poor, or even disabled? But I don’t want to stop empathizing, however problematic or unequally distributed that empathy is. Maybe it has to come with sympathy, also distributed widely, along with the medical professional’s ability to not feel, at least for the moment, and actually do something. Empathy is “feeling-with”, and seems somewhat presumptuous if it doesn’t also come with the recognition that it’s easier to feel with someone who you also share lots of other things with, than someone you don’t. Sympathy has an element of pain attached to it. I don’t feel someone else’s pain, but I am sorry that they are in pain. It’s possible to have both empathy and sympathy, or just one, or neither. There’s not much I could do, in that moment, that others weren’t already doing. I had empathy and sympathy. The medical people had their problem-solving face on, in the moment, which is not to say that they didn’t also have empathy or sympathy at other times. But even as I write all this, I’m drawn back to that existential moment. It’s like I’m trying to approach that thing that can’t be said, the moment that this guy seemed to be going through, this time when everything might change. Take away all of that social connection that empathy, sympathy, and problem-solving build, in their own ways, and there is still this person, in the moment, facing something. In a crowd but alone.